What’s a kids party without an awesome cake? 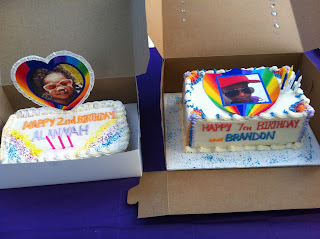 Also, what’s a double kids party without TWO cakes?! 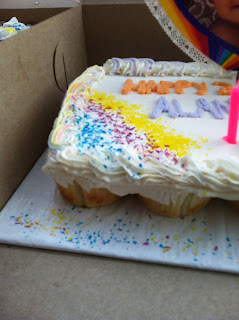 Luckily, I have a Mother who is a cake decorator, so she made two of the most awesome cakes ever. These are the two cakes side by side. My Mom got the kids’ pictures that I used on the invitation blown up and put them on a rainbow placard. The Duchess is on a heart and Sonny is on a rainbow shield. Double Awesome sauce. Well, let’s just say she really enjoyed her cupcake. 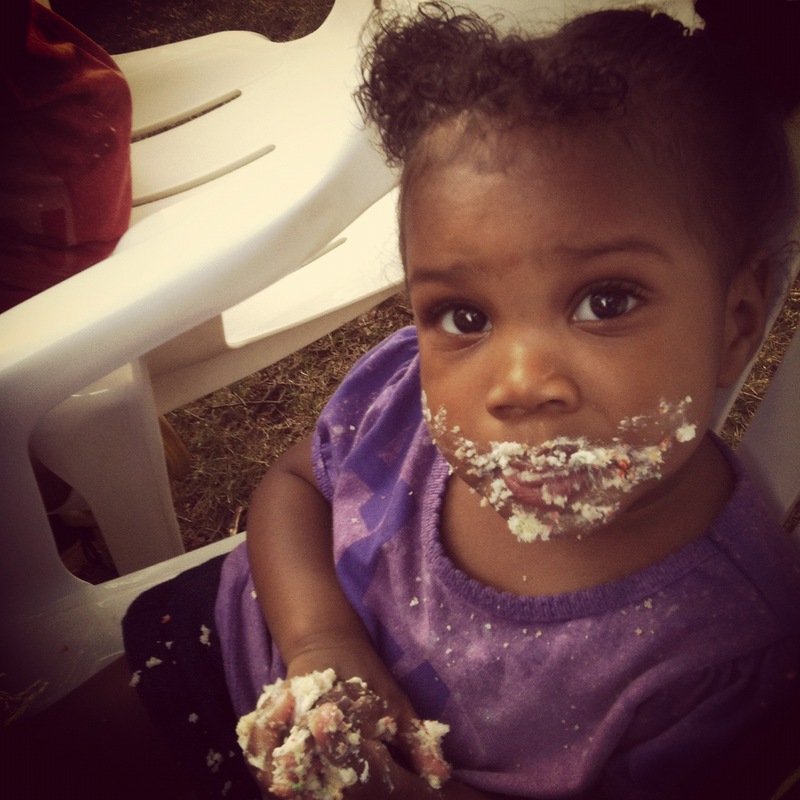 Okay, her two cupcakes. It was her birthday, so I gave her an extra one. She’s a big girl now, you know. THIS is the inside of Sonny’s cake. A-maze-ing. Yes, there’s 6 different colors in there. And yes, each color is a layer. And YES! It tasted just as good as you can imagine. My Mom out-did herself this time and this cake was a hit. So much so, that I have a few friends that want her to make this cake for their kids, or for themselves. Family promotion for the win! This is a slice of the rainbow cake. It was big and delicious. I had two. And i’m not ashamed of it.